It seems like every time you check, 1080p projector prices have dropped again. The latest instigator is Acer's H6500, a pint-sized 2100-lumen DLP projector boasting 10,000:1 contrast that costs only $899. As you might expect from a 1080p projector under $1000, the H6500 doesn't have much in the way of features. It can't display 3D, there's no frame interpolation, the connection panel is pretty bare-bones, and the lens is a manual 1.2:1 zoom. But if you need a dirt-cheap 1080p projector that performs well in a living room or game room and is capable of putting up a decent image, the H6500 is a solid machine. With a manual 1.2:1 zoom lens and no lens shift, the H6500 practically screams for a coffee table, so that's where we put it. A ceiling mount is also possible, and the projector's 16% upward throw angle offset makes such a mount easy, but many people will want to use the H6500 as a secondary portable or game projector and thus pack it away when it's not in use. The lack of lens shift makes the H6500 unsuitable for rear shelf mounting unless you apply keystone correction, which has enough downsides that we'd advise against it for most people. We fired up the projector in a darkened theater at first, then turned up the lights later to test the brighter modes. In the dark, the H6500 is a solid performer with Blu-ray movies. The projector's 10,000:1 contrast comes from a lamp modulation system similar to Optoma's Image AI. In bright scenes, the projector kicks lamp power up to full, then lowers it again in darker scenes to preserve black levels. While this system is effective, it's also thankfully optional. In our preferred operating mode for Blu-ray movies (Movie mode, Eco lamp, BrilliantColor on), our test sample produced 978 lumens -- quite a bit of light, in other words. Movie mode has reasonably good color balance for such an inexpensive projector, and the picture overall appears well-balanced and natural compared to other inexpensive 1080p projectors. 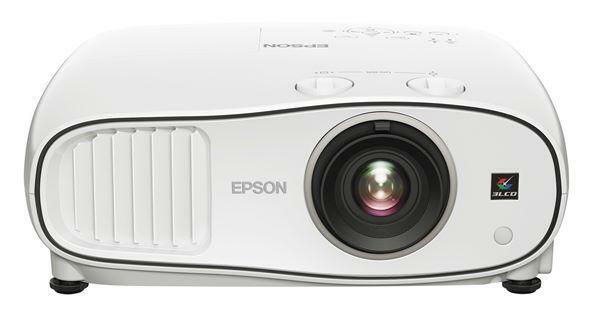 But the H6500 isn't exactly built to be a home theater projector. Instead, this little powerhouse is meant to be used in places where a typical home theater projector would stumble -- living rooms, game rooms, and other places where ambient light is a regular occurrence. In these situations, the H6500's Bright mode becomes important. This mode actually produced more than the specified lumens on our test sample, albeit with a loss of contrast compared to Movie mode and a color bias towards green. However, it's a perfect mode for watching sports in the living room, or even for playing video games as a group with the lights on. Color Wheel Segs:	??? Color Wheel Speed: ??? Same question as above: Color wheel specs? Audio i/o? Analog audio out from HDMI in signal?